The bridge over the Amsterdam-Rhine Canal in Utrecht is the most important link between the historic centre and the new Leidsche Rijn residential area. 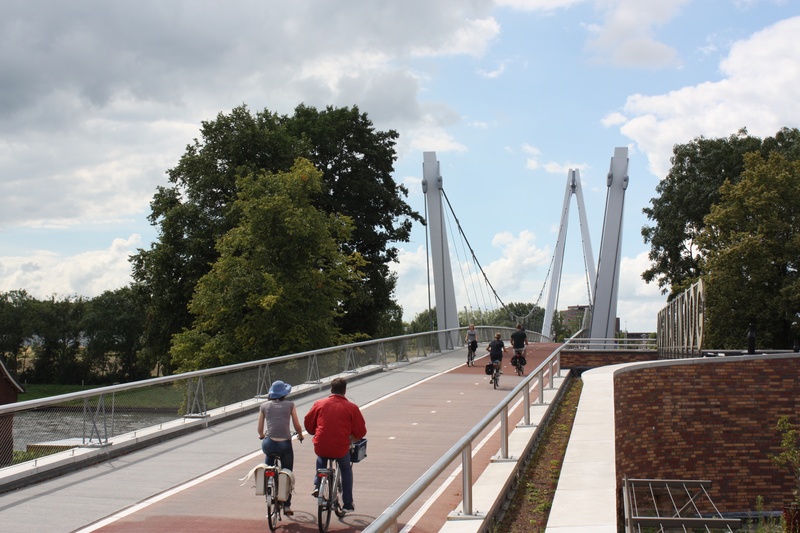 Cyclists cycle to a height of nine metres as they veer around the Victor Hugoplantsoen in a sweeping curve and are then guided across the roof of a school and over the canal. 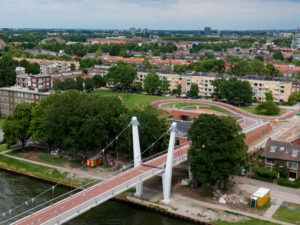 The double land use with maximum space for greenery makes this bridge, named after the Dutch athlete Dafne Schippers, a unique landmark. 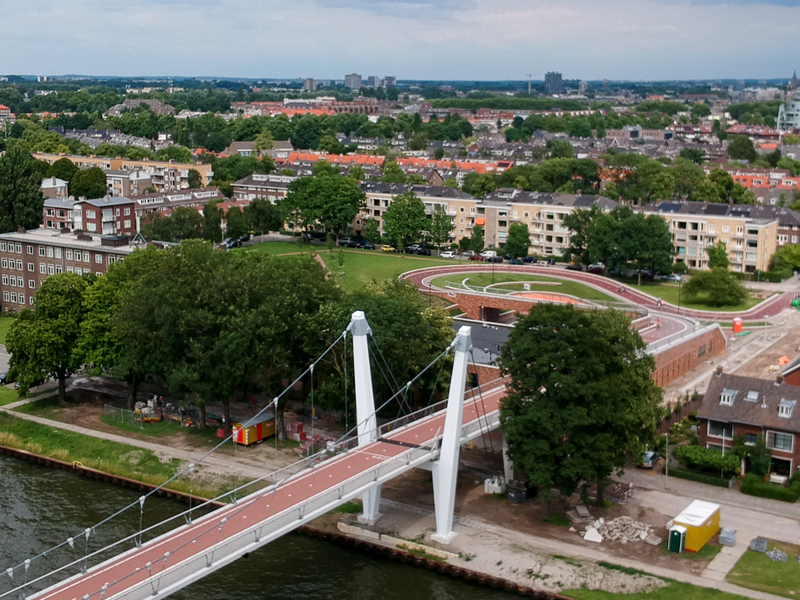 The Dafne Schippersbrug has a length of 110 meters and is suspended 9 metres above the canal, stretching to 35 metres at its highest point. 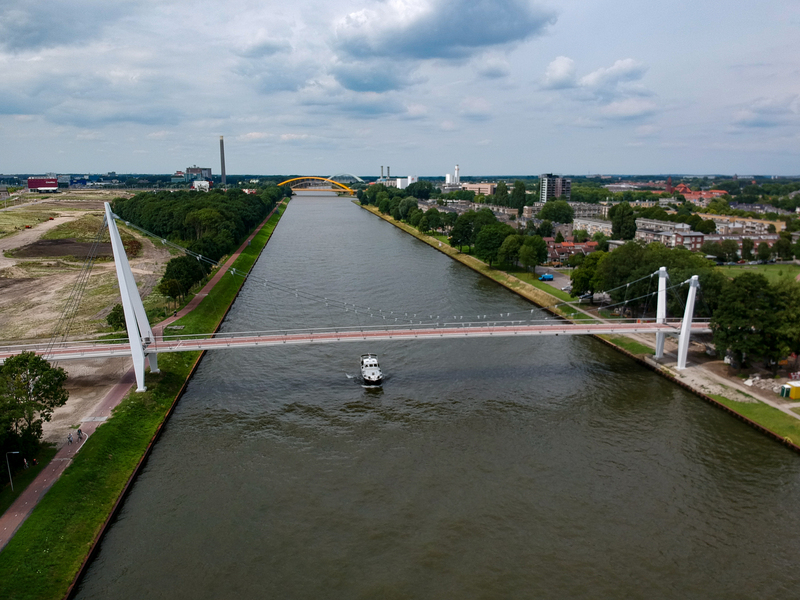 The slim suspension bridge is supported by two asymmetric pylons: while the higher pylon on side of the Leidsche Rijn immediately draws visitors’ attention, the smaller pylon lines up with a row of trees and seamlessly fits into the densely built environment. The bridge was opened in the spring of 2017. The municipality expects that, as construction along the Leidsche Rijn continues, between 4,000 and 10,000 cyclists will use the bridge every day. 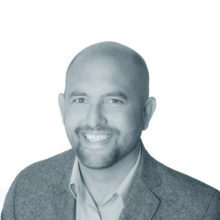 The total cost of the bridge was roughly €25 million.